Landing a strike on an untrained individual is not difficult. They have so many openings that they are unaware of you can literally take your pick as to where you want to hit. Also, their balance is such that small disruptions can lead to even greater openings. However, a trained fighter is an entirely different animal. They have closed all of those obvious openings and adopted stances to give them maximum balance including recovery balance after successful offense from an opponent. So how do you get in on someone with those kinds of skills? The answer is variation, and in this week's Pummel Podcast we are going to look at exactly how to use it. 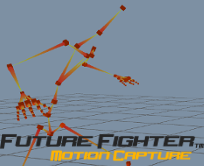 Download the video for the full effect and then follow me to get more fight talk and game development insights as the fight for the future continues. TELL ME WHAT YOU THINK ABOUT "Variation"